Customer's 7 secret unveiled Want to know more? Human Sensor is our customer traffic analyzing device. With this tool you can learn your customers better. 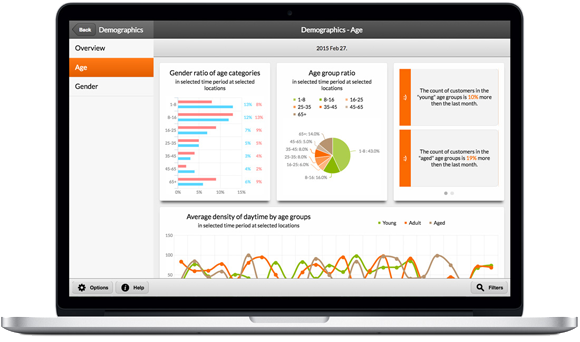 You can use our device as a face detector tool to analyze customers' age and gender. Our device can be placed above an entrance, can be used as an optical counter, which counts exactly the incoming and outgoing traffic. 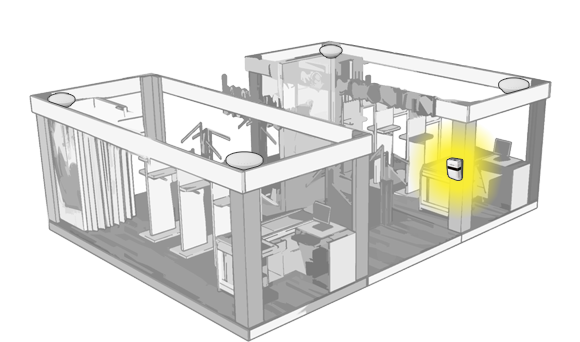 If you place the Human Sensor on the ceiling, it can work as a Video Analytical Tool, and can show the most frequently used places of the store via the pixel's accurate motion detector. Our specialized WIFI sensors can detect WIFI enabled mobile phones, can trace the most walked tracks in your shop and can check the returning habits of your customers. Privacy first, no personal identifiable stored data. It's safe for your business. Our devices is easy to install and handle. It is an engineer-free solution. No dedicated server required, analytics can be accessed from our cloud storage. Use our app to access your analytics anywhere, it's available for major devices. The full setup of our statistical solution includes specialized WIFI antennas (access points) and Human Sensor devices. Customer's smartphones are categorized by brand and type (eg. Apple, Android, Nokia, Windows Phone). The purchasing power is also determined using the gathered information. The specialized WIFI antennas are able to track devices used by the customers within its coverage area even if they are not connected to any WIFI network. The customer's age and gender ratio are also added to the statistical information using the Human Sensor device. On the heatmap, warm colors are used for the most frequent, and cold colors are used for the least frequent areas. 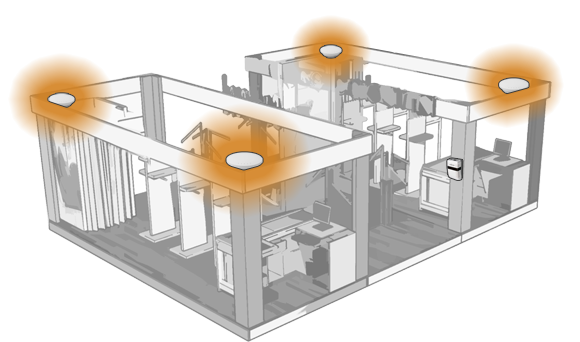 With a ceiling mounted Human-Sensor, you can get a pixel's accurate heatmap with the move directions. The Human Sensor is the Google Analytics™ for the real world. We have made an easy to use, easy to understand statistical tool for your business. If you already have a webpage analytics tool, then you may know Google Analytics™. If you know Google Analytics™, then our solution will be familiar to you. Purchasing power from category of smartphones. Rarely and frequently used places of the shop with heatmap. By installing our device, you can see the statistics of the visible faces of the customers. It simply counts the number of male and female customers in the store by age category. The device can through WIFI access connect to our cloud service. Only power connection is required. 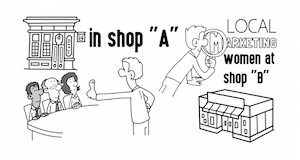 Place anywhere, where customers can be seen by it. Linked WIFI access points needs to be placed at the four corner of the location (keep max. of 20m from each other). Installing these devices is very simple. One requires to be connection to the internet, and other devices requires only electricity. We also offer access points for Hot Spot services. You can use our mobile application as your main statistical dashboard. All informations is available using a simple user interface, realtime and historical data. We made an automatically generated BigData analysis, an intelligent algorithm which recognizes the relationship between statistical changes. It's also accessible from any device. Our specialist team can write you detailed analysis from the statistical data collected at each locations. 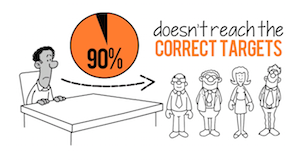 Larger companies can have statements for management decisions based on a real and continuous measurement. The complete report can be sent monthly to the relevant staff and if required, our team can create reports for custom time periods. Get important knowledge at your finger tips with with live statistics, complex comparisons, robust queries with only some touches. Your business always comes first with HSTouch. 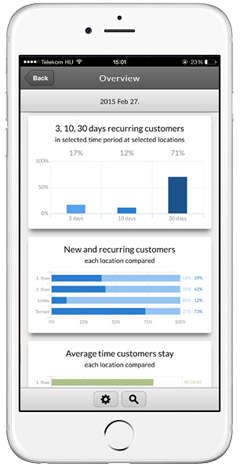 Through this mobile application, you can get statistics about your customers. You can get complex comparisons at any given time or at any locations. The statistical interface is easy to use, even on the screen of a small device. You can get the same complex statements on your smartphone just like on your computer. Once logged in to the application, you will see all the statistics for your sites. 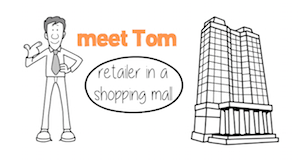 You can get statistics for a whole retail chain, or you can focus on separate locations. Our Heatmap solution is able to describe the actual situation on the map. We can highlight both newcomers and returning customers. We can also visualize how often a person has been seen on the store map and it's possible to describe the favourite places of people. The app is now available for download in iOS, Andorid and Windows Phone. With one touch you can change between periods and locations. You can have all these functions even if you have only one small shop. We are unique due to customer-centric thinking and accuracy. We always customize available solutions for our partners. Our top customer care - Dedicated consulting team support. Personal advisor - Our experts will analyze the statistical informations and make a report. Automatic periodic statements - weekly, monthly reports are sent automatically and we organize all the important analytics for you. For calculating the monthly fee for your shop, please contact us via email or phone! We are certain that you will love our affordable prices. Call us now! Petofi S. u 11. 9/11.